The Fourth of July is the arguably the most anticipated culinary event of the summer. 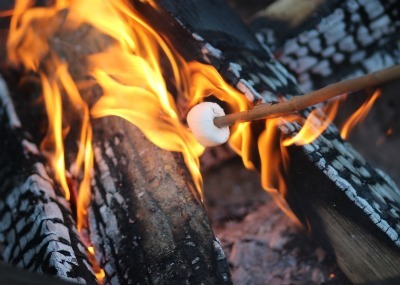 It’s like Thanksgiving in July–all of your highly anticipated dishes make their yearly debut, and just as Thanksgiving acknowledges the start of the Christmas season, the Fourth of July signals that summer has truly begun. Perhaps due to its placement in the yearly calendar amidst long summer days and vacations, Fourth of July party planners and family gatherers take a more “lax” approach to planning Fourth of July festivities–maybe so much so that they save all the planning until July 3rd. If that’s you, don’t worry–I have you covered. Pick and choose from the four easy recipes below to bring to a potluck, or make the entire bunch to prepare a Fourth of July feast worthy of fireworks. What’s Fourth of July without corn on the cob? This gourmet take on a classic BBQ dish is sure to be a hit with any crowd. 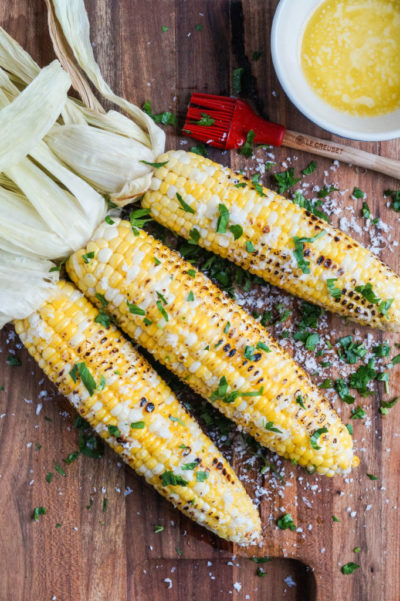 Simply brush grilled corn with garlic butter and sprinkle with Parmesan cheese and parsley before serving. Sarah’s tip: If you’re running short on time (or grill space), wrap your shucked and buttered corn in wax paper and microwave for 2 minutes per ear of corn (i.e. 4 ears cook for 8 minutes.) Although this method may be looked down upon as a “cheat,” the most flavorful corn I’ve eaten has come from the microwave. Full of fresh summer flavors and keeping with the “red, white and blue” theme, this salad will win out over mac salad any day. 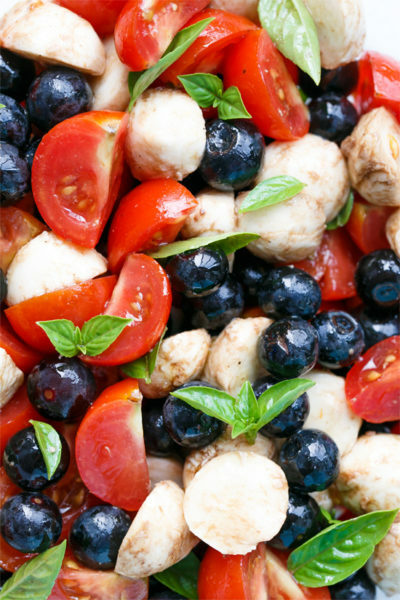 Simply “combine tomatoes, blueberries, and mozzarella balls in a bowl. Toss with basil leaves, olive oil, and balsamic vinegar. Season to taste with salt and pepper.” Refrigerate before serving. Meat without seasoning is like the Fourth without fireworks! Thankfully, Ms. Winger has a foolproof seasoning recipe with ingredients that can all be found in your kitchen cabinet. 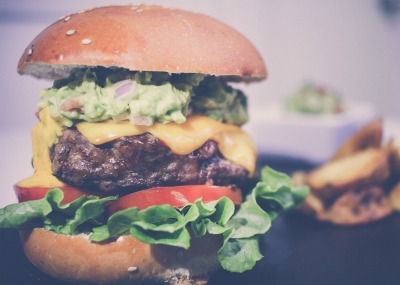 Season those patties, then get them onto to the grill! Sarah’s tip: if you’re a host or hostess who doesn’t want to miss out on your own party, you can prepare the seasoned patties a day ahead of time and refrigerate with wax paper in-between to keep them from sticking. What could I possibly suggest as a quick and easy, crowd-pleaser dessert recipe other than s’mores? Pick up some Hershey’s chocolate bars, Jet-Puffed marshmallows and Honey Maid graham crackers, and the kids will take it from there. Sarah Scherer is pursing a master's in international affairs at the University of Georgia, where she leads the Students for Life and Intercollegiate Studies Institute chapters. A Southern California native and traditional conservative, it goes without saying that she isn't afraid to speak her mind.